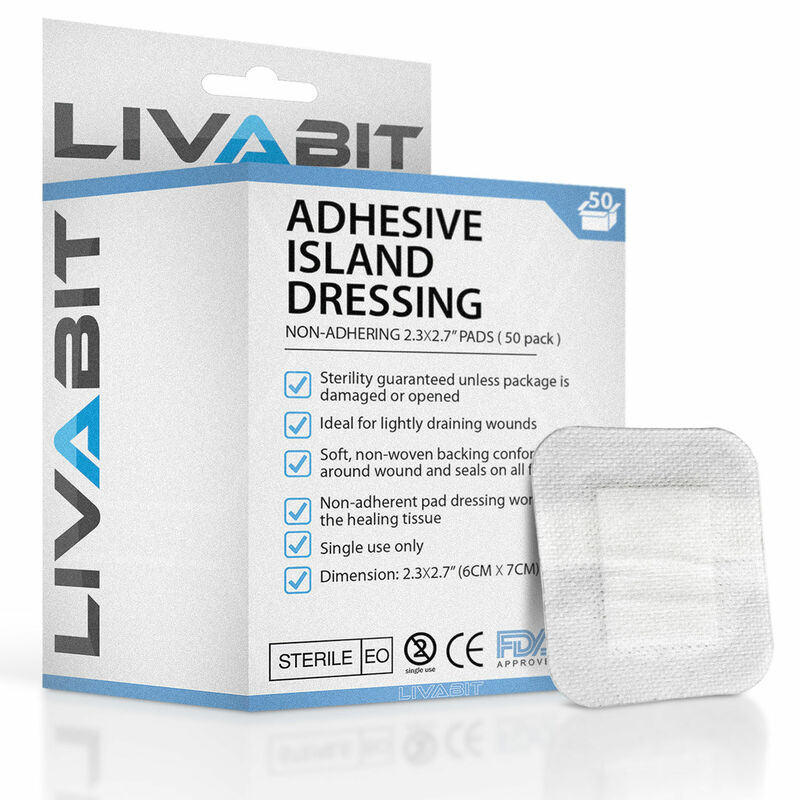 LIVABIT Island Dressings are a convenient all-in-one dressing. The soft, non-woven backing conforms around a wound and seals on all four sides, providing protection from the external environment. They are an ideal dressing for lightly-draining wounds. Covers and protects abrasions, cuts, minor burns, blisters and post-surgical incisions. They have an adhesive border which minimizes the need to add tape or securement.